Getting locked out of your home, car or office can be frustrating and it can be more frustrating if you have broken the key into the lock because even if you have a spare, you will not be able to use it because the keyhole is blocked with the broken part of the key. Locksmith Lock Store understands that sometimes a customer cannot afford any kind of halts in their daily schedule and when you call us, you can be rest assured that you will get a locksmith to your doorstep within minutes. 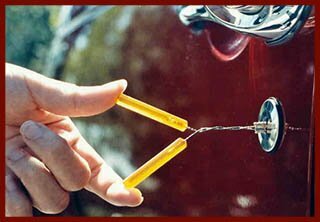 Our broken key extraction service is the fastest and the most reliable in San Antonio, TX and you will be pleasantly surprised by our service and our affordable prices. So the next time you end up with a broken key in your lock, make sure you call us rather than trying to retrieve the key on your own. We are available 24/7 on 210-780-7314.